Hi hi hi! I am going to be sharing my weekly favorites and giving away what I share here on my blog (ONLY!) So you have a really good chance of winning! woot woot! 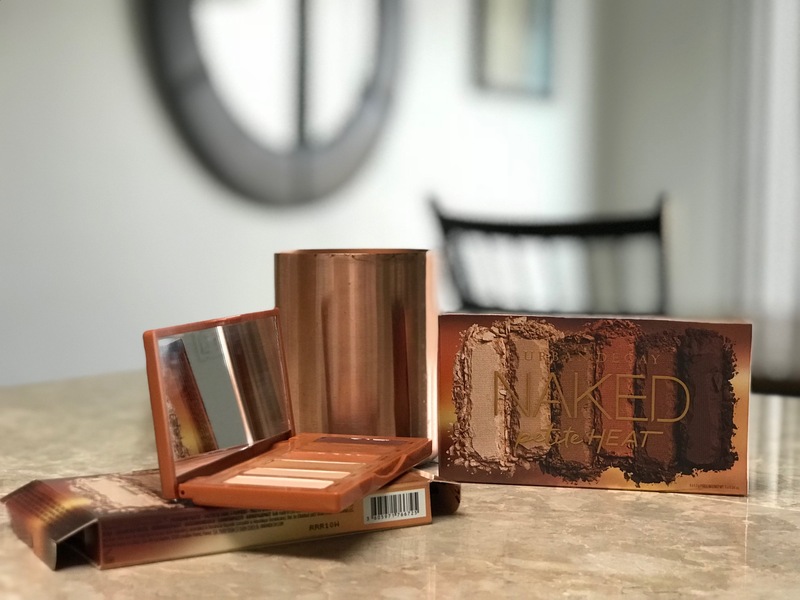 Sooooo this weeks giveaway is an URBAN DECAY NAKED PETITE HEAT PALETTE!! anyways, back to the giveaway! This giveaway will only go until NOW- Wednesday April 11th , 2018 (april 11th will be a new giveaway + announcing who won this one!) Rules: Comment below this post what your perfect vacation would be & if you want an extra chance of winning go comment under my latest YT video where I show this palette and put “Entered your blog giveaway” GOOD LUCK!!! Thank you for the video 🙂 My perfect vacation would be to Disney World with all my 3 kiddos (all expenses paid)! Have fun on your vacay!! My perfect vacation would be in Hawaii (I’ve never been) just sitting on a beach under an umbrella with eyes closed listening to the waves go in and out! My perfect vacation is simple, travel to the east coast. North to south. Get a different bit of mixed cultures, weather and scenery. My perfect vacation is one, where I don’t ned a vacation from it 😂 even though i have been to Hawaii a couple of times, it will always be my number one! No pressure to get a bunch of stuff done, just get to relax and reboot, while sipping something yummy and fruity! My perfect vacation would be hiking in Utah with my family, specifically Moab. One of my favorite places on earth! Omg, dream vacation would be Greece! That’s on the bucket list! My dream vacation would be to go visit historical ancient landmarks around the world in places like Rome, Greece, Egypt, etc. I would love to travel to Iceland!!! It just looks like a very peaceful place! My dream vacation would have to be Disney World just because i want to take my kids there so badly! You are looking fantastic by the way. Congratulations on the weight loss! My dream vacation would be to visit Australia. But I hate flying so I don’t think it will ever happen. But I would love to take my kids to disney world or a disney cruise someday.